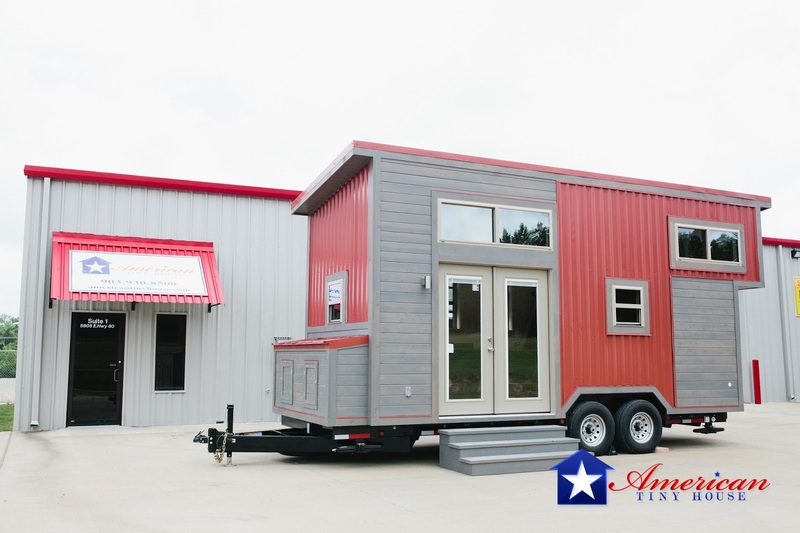 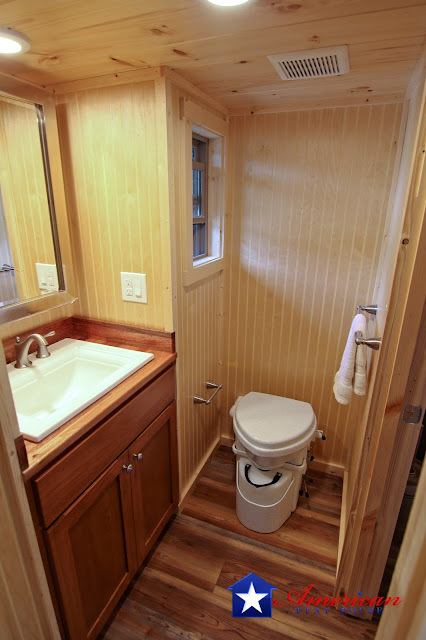 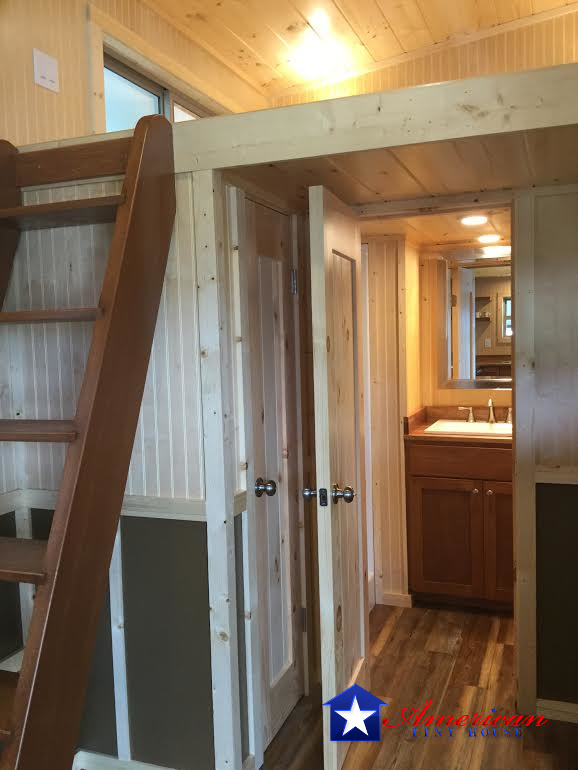 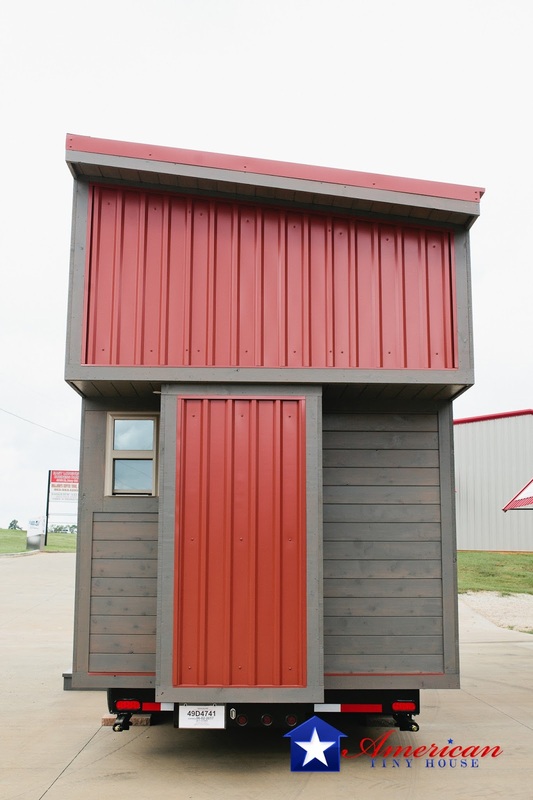 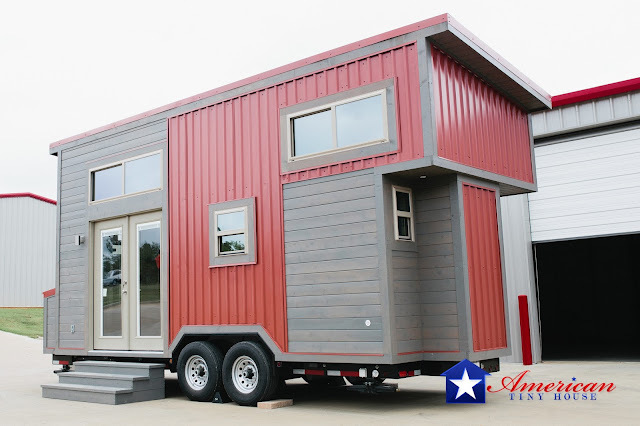 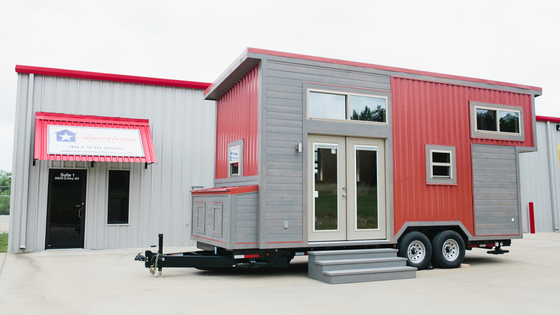 From American Tiny House of Longview, Texas, is this eye-catching 20' tiny house on wheels. 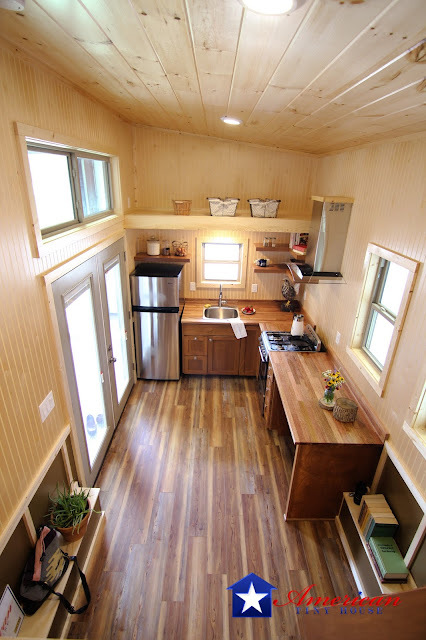 Named the "Houston", the home is a maintainance-free and RVIA-certified tiny home with 224 sq ft of space. 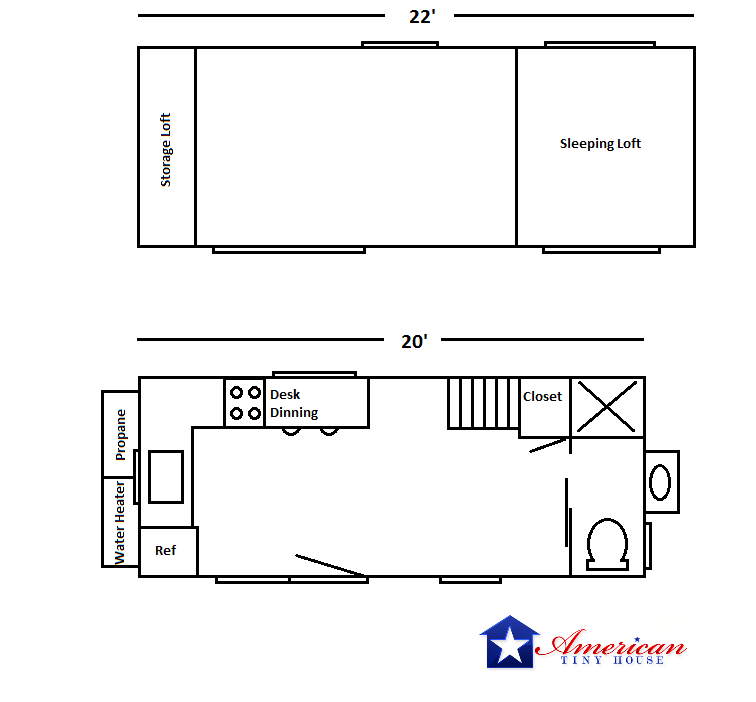 Its warm, rustic interior features two loft bedrooms, a kitchen, bathroom, and even a work space! 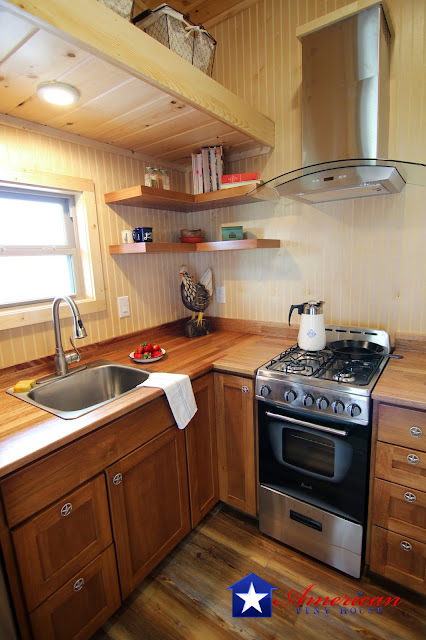 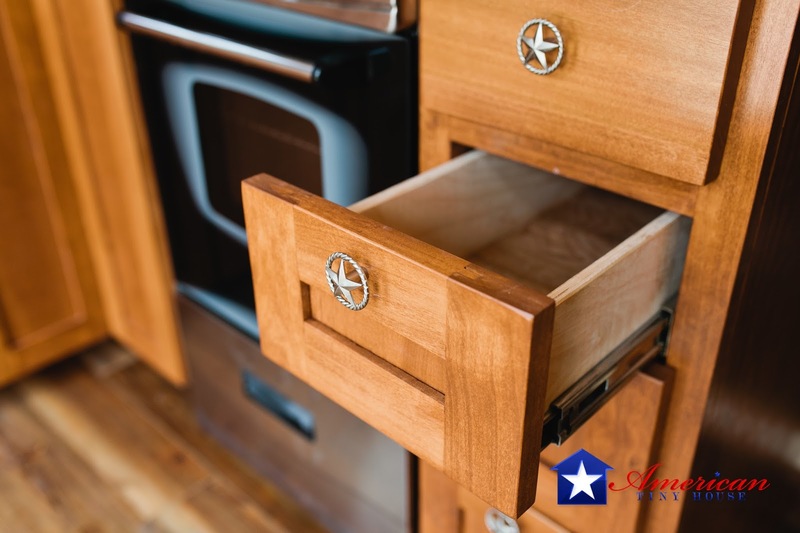 The home's kitchen comes with ample counter space, an electric cooktop, refrigerator, custom cabinetry, and a stainless steel sink. 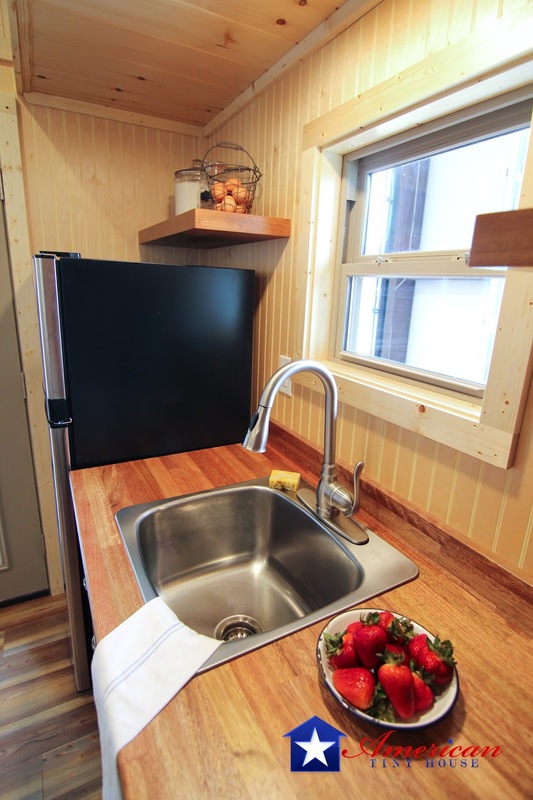 There's even a washer/dryer unit, and heating and A/C. 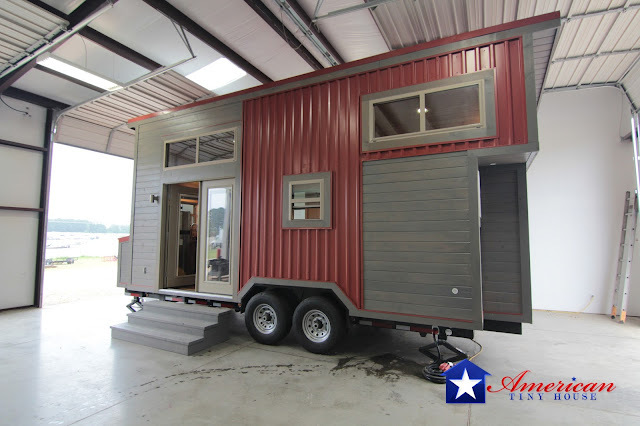 The Houston's pricing starts at $52,400 and includes free delivery to states in continental USA. 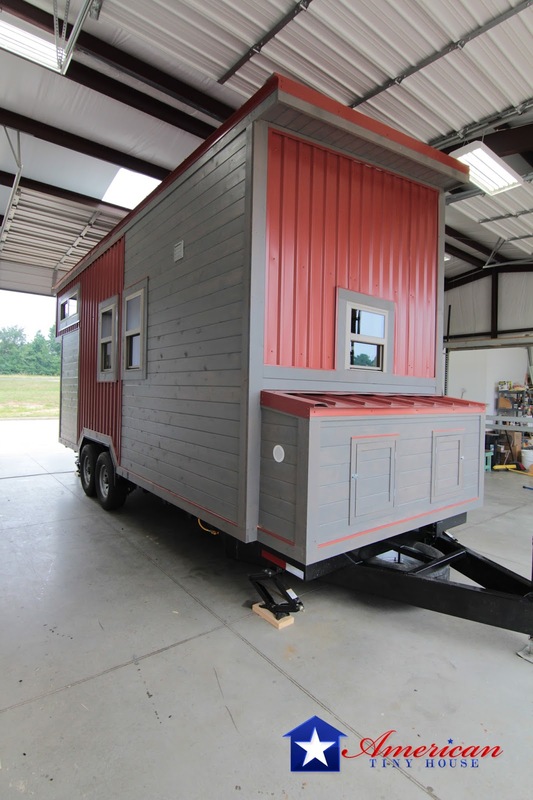 There's also financing available to qualified and approved applicants. Build and delivery time takes 10 to 12 weeks. 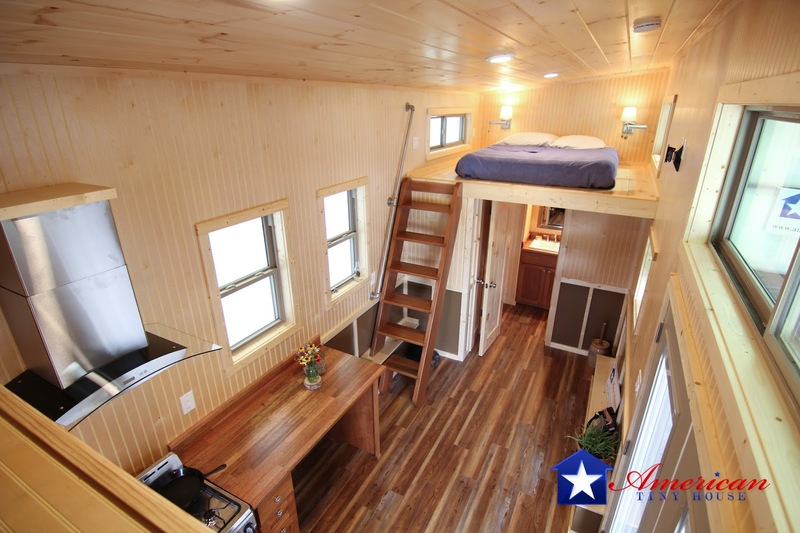 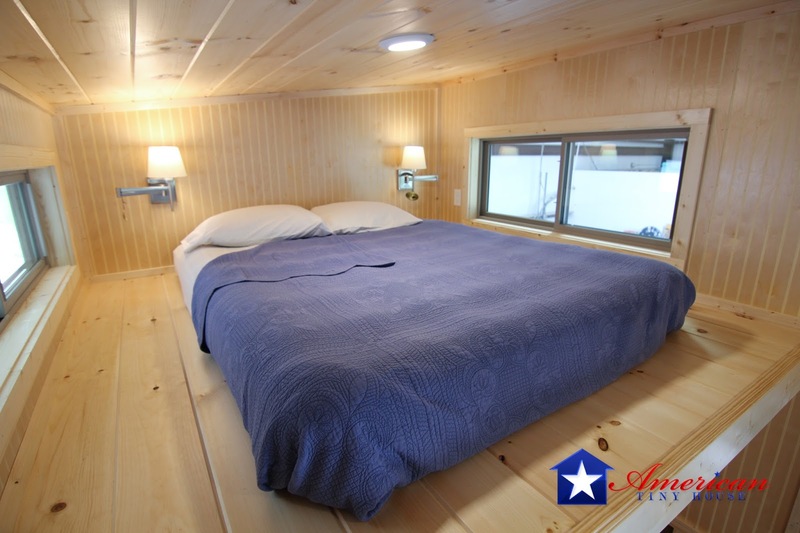 For more information and/or interest, please contact American Tiny House here!